Colleen Gray is the Managing Member of the Law Office of Colleen R. S. Gray. As a seasoned litigator in all aspects of litigation, Ms. Gray focuses on personal injury, foreclosure defense and business and general contract litigation. Ms. Gray earned her Bachelor’s degree from John Jay College of Criminal Justice and law degree from New York Law School. After law school, she served as a Public Service Graduate Fellow with the N.Y. State Division of Human Rights, where she investigated claims of age and disability discrimination. Ms. Gray is a well-rounded advocate. 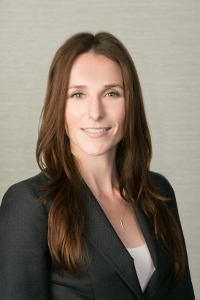 She represents victims of auto accidents, slip and fall accidents, elevator accidents, dog bites, construction accidents, and negligent home repairs. Ms. Gray also represents parties to real estate litigation, including transactions that require judicial intervention, partition actions, and quite title actions. In her foreclosure defense work, Ms. Gray has successfully defended homeowners against foreclosure, helping clients save their homes and guiding them through the entire litigation process. As a general litigator, Ms. Gray has prosecuted and defended breach of contract claims, constructive trust actions, and acted as private counsel for insured parties being sued for personal injuries. Today, Ms. Gray serves as Vice President to the Chair of the Nassau County Bar Association’s Plaintiff’s Round Table. She is a member of the New York State Bar Association and Nassau County Bar Association. Ms. Gray is also on the Membership Committee of the Long Beach Chapter of Business Network International and remains actively involved in the community of East Atlantic Beach, where she lives with her husband and two children.